In a show of force, Iran has planted its new, Russian S-300 system around the Fordow nuclear site. A report on Iran's state news site on Sunday night indicates that Iran has deployed a Russian S-300 ground-to-air missile defense system around its Fordow nuclear facility. The video attached to the report shows trucks loaded with the S-300 arriving at the site, and missile launchers being aimed skyward. Iranian General Farzad Esmaili, who heads Iran's air defense, was cagey when he was interviewed by another affiliated website. "Maybe if you go to Fordow now, the system is not there," he said, emphasizing the S-300 was built to be a mobile defense system. The Fordow nuclear site, 100 kilometers (66 miles) south of Tehran, and 90 meters (300 feet) underground, was revealed by Western nations back in 2009. Experts are concerned that Iran's high profile military protection of the site points to Iran's intent to manufacture weapons. Iran rebuts the claims, asserting it only wants to create nuclear energy, and that it fears airstrikes from the US or Israel. Esmaili insisted Iran defends its nuclear facilities as a matter of course, adding that "since they are national achievements of Iran, they must be vigorously protected." "We carry out defense exercises in non-nuclear facilities once a month but we do them several times a month in our nuclear facilities," he added. 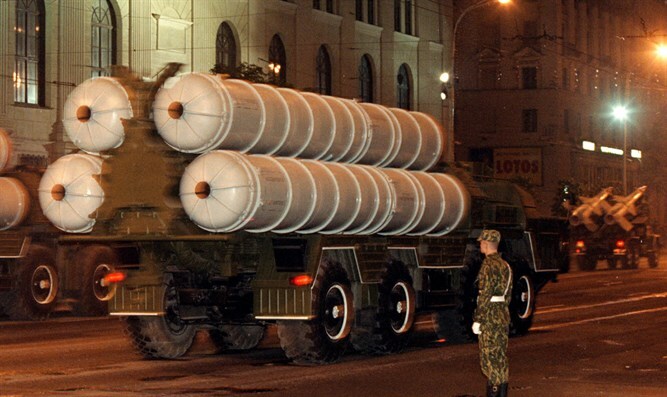 Russia finally began to deliver the S-300 system in 2016, 9 years after it signed a contract with Iran for the missiles. Until now, the international trade and weapons embargo on Iran made it unreasonable for Russia to make good on the deal. On Monday, Iran state television also announced a new live radar system, called the "Nazir," which it claims can detect radar-evading aircraft like the US U-2, RQ-4, and MQ-1.